"Rocky Mountain brides are so spoiled! Natural beauty at every turn, beautiful mountaintop vistas, crystal clear lakes, barely a need to decorate (so jealous!) Today's styled shoot gives us tips on how to capitalize on such natural beauty with watercolor details to match the beautiful rushing Colorado waters. 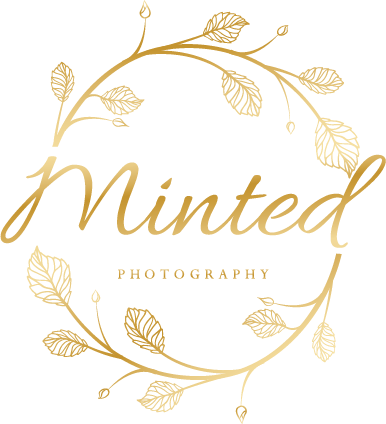 Photographed by fine art photographer, Minted Photography, this wedding inspiration is so dreamy. Alpine winds blow our boho bride's relaxed 'do, our hipster groom's blue suiting complements the crystalline lake. The crashing waters of Grizzly Ridge wash up on the watercolor stationery. Sprigs of wheatgrass find their way in understated floral arrangements, giving the tablescape a wild, mountain meadow feel. Turquoise waters match the sweet eucalyptus. In all, Jacqueline Rae's masterful styling highlights the natural beauty of the mountains, without taking to much away from it. The inspiration behind this styled shoot was Efflorescence which is the action or process of developing and unfolding as if coming into flower or blossoming. Efflorescence is the very definition of spring here in the mountains and it completely defined the look and feeling of this shoot. High up in the hills overlooking lake Invermere we found the remanence of a wall-like fireplace that was once the centerpiece of a grand home on the hill. We discovered that the house had burned down years ago and the land was abandoned, this grand fireplace was the only surviving trace of the past. We knew it was the perfect place for our shoot. Drawing inspiration from the natural color of the stones that made up the fireplace, we created our color pallet for the bouquet. We used soft pinks, grayish greens and ivory. Lindsay from Fall For Florals took inspiration from the surrounding vegetation to create the centerpiece to match the bouquet but also included grasses which surrounded us on the property. For the suit and stationery, we used a blue that matched the color of the mountains and the lake below. We wanted everything to reflect the natural beauty that was all around us. I loved the wedding dress because the lace flower details embodied the Efflorescence theme while it also had a vintage and classic look to fit with our unique venue. The bottles were used to showcase the popular and famous wine industry in British Columbia, Justine Ma added her delicate touch to the bottles.Although the fireplace wall was the main focal point for our shoot, we also wanted to showcase other untouched beautiful areas of Invermere. When we happened upon a natural waterfall higher into the hills that had a rock bed with the same tones of the wall we knew we had found our second space." Lyndsay. The tones, the colors, the styling, these images are flawless. You are seriously rocking it. Beautiful set.